Public Health Management Corporation (PHMC), a nonprofit public health institute that creates and sustains healthier communities, signed an agreement, subject to all necessary regulatory and other approvals, expressing its intent to pursue the acquisition of Wordsworth Academy (Wordsworth) a not-for-profit organization providing education, behavioral health, and child welfare services to children, adolescents, and families. PHMC has assumed operational oversight of Wordsworth through a management contract. Upon a successful acquisition of Wordsworth, PHMC would integrate Wordsworth’s programs, which include two Community Umbrella Agencies (CUAs), foster family care programs, behavioral health programs, and Wordsworth Academy, into PHMC’s existing business enterprise to ensure the continuation of critical services to populations and communities in need. Diana Ramsay, Wordsworth’s Interim CEO, leaves Wordsworth having successfully completed her work. She was brought to Wordsworth in January to explore affiliation possibilities, and to organize and guide the execution of Wordsworth’s transition plan in a manner that would guarantee continuation of the agency’s work. Don Stewart, Wordsworth’s CFO, has been named as Wordsworth’s new Interim CEO until the acquisition is finalized. Turning Points for Children (Turning Points), a PHMC subsidiary that manages CUAs 3 and 9, will oversee Wordsworth’s CUAs 5 and 10 and Wordsworth’s Family First Services (foster care programs). PHMC’s Early Childhood Education business area will oversee Wordsworth’s special education schools, Wordsworth Academy. PHMC’s Integrated Health Services business area will oversee Wordsworth’s community-based behavioral health programming. As part of the acquisition, Wordsworth will reorganize its financial affairs under Chapter 11 of the Bankruptcy Code, under supervision of the United States Bankruptcy Court. Throughout the management contract and bankruptcy process, PHMC will provide operational and quality management infrastructure to support and maintain Wordsworth’s programs, with potential for future investment and expansion upon the acquisition. PHMC has a long-standing legacy of delivering high-quality, evidence-based health, human and social services to individuals and families in the region. 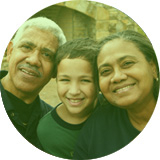 Since 1972, PHMC has offered financial, operational, and infrastructure stability to support the delivery of more than 350 programs to best serve individuals and families in the community. Public Health Management Corporation (PHMC) is a nonprofit public health institute that creates and sustains healthier communities. PHMC uses best practices and evidence-based guidelines to improve community health through direct service, partnership, innovation, policy, research, technical assistance and a prepared workforce. PHMC has served the region since 1972. For more information on PHMC, visit www.phmc.org. Turning Points for Children (Turning Points), a subsidiary of Public Health Management Corporation, is a leading social services agency in Philadelphia, reducing child abuse and improving the lives of children across the city. Turning Points serves more than 10,000 men, women and children annually by providing the critical resources, life skills and supportive partnerships needed to create stronger families and raise children with the hope for brighter futures. For more information on Turning Points, visit www.turningpointsforchildren.org.